Discover how Ecosparkle – York Region’s original all-natural and organic home and office cleaning service – got it’s start! Ecosparkle was founded by Csaba Szabo, over 8 years ago now, with the belief that there was room in the York Region for a home and office cleaning company that offered healthier alternatives to the conventional, harsh chemicals used by typical cleaners. Today, we’re a Reader’s Choice Winner (6 year’s in a row) and are proud to share our Green Clean with hundreds of happy customers throughout the greater Toronto area. 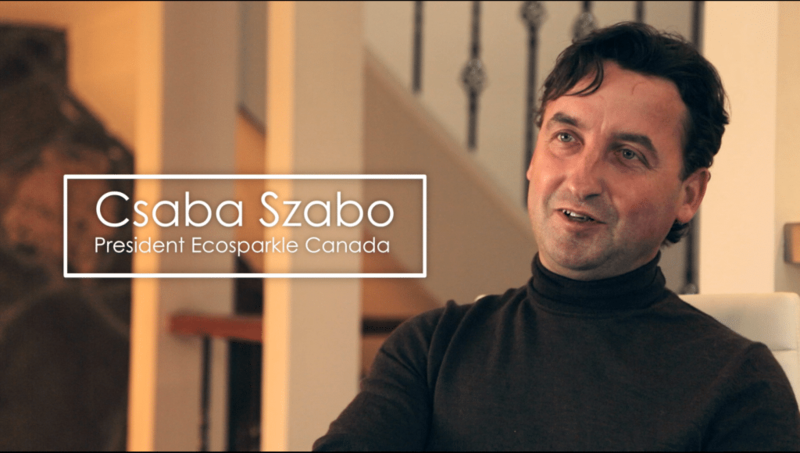 We recently took the opportunity to sit down with Csaba Szabo, President and Founder of Ecosparkle, to share the story behind how Ecosparkle got its start. You can learn for yourself, in the video below! Experience our Green Clean in Your Home or Office Today! If you’d like to experience Ecosparkle Green Clean in your home or business, simply contact us to get your FREE Green Clean Quote – or give us a call. We’d be happy to hear from you!